St Petersburg/Clearwater, FL are places that we did not know much about, so we decided to correct that hole in our knowledge base. We drove around St. Petersburg and some of its neighborhoods and found it to be another of those pleasant Florida beach and tourist locations with lots and lots of stores, traffic, boating and beaches. We walked the “pier” and showed Flat Stanley the sights. Pier 60 in Clearwater Beach at sunset is a not so spectacular attempt to be like Mallory Square in Key West at sunset; however, it would be a great place to observe the setting sun when the clouds decide to cooperate. Based on a statue on Pier 60, the first Greek landed in the area in 1528 with a Spanish expedition. He had no way of knowing how strong the Greek influence would become in this part of Florida. There are lots of condos on the beach and nearby that apparently can be obtained at a very good price. As we were driving south along 19A, they were actually trying to wave folks into a waterfront condo complex for a look at $60K units. If you are looking for a vacation spot with lots of sun, shopping and sand-this could be the place. Today we visited Tarpon Springs, Fl. We have visited this town a number of times over the years, starting in the 80’s, when my parents spent the winter in the area. Back then, when we went to Tarpon Springs, we only visited the sponge docks and enjoyed the food and marine sights. In fact, until our last visit in 2009, we never really considered looking at the rest of the town. So on this visit; we started in the historic downtown which got its start when the railroad came through the downtown. The main street is largely populated now by antique shops and a museum/welcome center in the former train station. We started in the station and were quickly intercepted by a volunteer who wanted to show us around and tell us about the town history. It took only a few minutes for Anneke and the docent to establish that they shared the same heritage. There went the rest of the morning. During an extensive tour we discussed the Dutch experience and current problems. He had an interesting history, starting when he left the Netherlands at 18 to work in Australia for three years and eventually ended up in the United States. Among other things he served 20 years in the US Army, 20 years with the local county Sherriff’s Department and now retired-volunteers at the historical center. We had a great visit and a better appreciation for Tarpon Springs. After touring the town center, and a nice County Park with beach, we headed down to the docks for another great Greek lunch and a tour of the many tourists shops. In all the times we have visited here, we never picked up any of the sponge products. This time we made up for that by getting two sponge plant displays and a bath sponge. This is definitely a town worth the visit and do not forget the village center. We decided to stop in Bushnell after discussing travel plans with Ron and Theresa from Colorado, who are fellow full timers we met in Mayport, Fl. They planned in spending several months there over the winter. 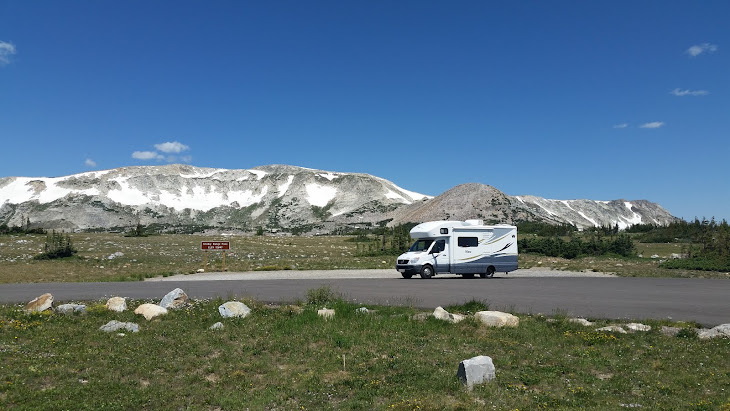 When we learned that we would also be able to spend some time with two couples from our Winnebago club, it was a simple decision to stop there for a week. We ran into Ron and Theresa almost as soon as we checked into the same RV Park and were able to catch up on where we have traveled since meeting in Mayport. We also had a chance to spend a pleasant day with them exploring one of the largest Flea Markets in central Florida the day after a huge storm passed through the area. There were lots of things to look at and a number of them were nothing short of bizarre. We look forward to crossing paths with them again down the road. Ray and Mary Jane from our Winnebago club have been in the area for some time. We met with them and Priscilla and Jim, also from our club, who were just passing through on their way back north (ouch!) for happy hour. Then we were off to a restaurant that only someone with local knowledge would be aware of. This non imposing restaurant was located on a small fish camp at a nearby lake. It proved to have an outstanding fish fry at a more than reasonable price. It is always great to cross paths with new and old friends alike as we crisscross the country on our separate RV adventures. We have traveled to Bushnell, FL enroute south to visit with some friends that are staying there. After spending a month with our daughter in the Florida panhandle, we also had the itch to do some sightseeing. While this area is popular with a number of snowbirds, it is certainly not well known for tourist attractions. We decided to first visit Clermont, Fl, once the center of the citrus industry and home of the Citrus Tower built in the 1950’s. Today it stands as an old fashion attraction for an industry which has left and been replaced by housing developments as urban sprawl. We journeyed to the top and were rewarded with a view of the current landscape of malls and housing developments, where once there was fields covered in citrus trees. Below the tower is yet another fading tourist attraction is the form of a forlorn looking presidential museum. A bright spot on the return trip was a stop at a local winery with a great tour and tasting room. We picked up a number of the products for further testing at the motorhome. The second tourist attempt was a visit to Mount Dora, Florida, which actually got its start as a resort destination in the late 1800’s and became well known for the Lakeside Inn, which still is in operation. There is steady stream of traffic on the lake and the many shops in town are a large draw for visitors. We have been spending the rest of our time here visiting with friends.